Otaki; A total of 170 properties sold in Otaki during the last 12 months to 31st March, at an average sale price of $237,660. 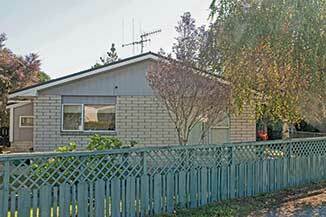 This is a total of $41,115,000 that changed hands for properties within the Otaki township. If our 10% market share is ‘representative’ that would be 30% investors, 20% first home buyers, and the rest moving up, down, or sideways! Again, if our 30% market share was ‘representative’, about 40% of buyers would be from the Kapiti Coast, 40% from Wellington, with a strong trend towards ‘weekenders’, and the last 20% from Auckland or overseas. Manakau; A total of 26 properties sold in Manakau during this last 12 months, at an average price of $333,000. This was a total of $8,668,000 invested by new residents in Manakau. Again, if our 55% market share is ‘representative’ 65% of buyers would be from Wellington, 25% from the Kapiti Coast, and 10% from overseas! We were delighted to assist so many sellers and purchasers achieve their desires. With over 80m² of living space in 2 bedrooms, open plan living areas, separate toilet, shower, & bathroom, and an excellent lock-up garage with storage, and a very sunny north facing patio, this will be a safe haven and a most enjoyable living situation. Just a short walk to the shops, transport & cafes. Crosslease. RV $150,000. ‘Offers around $169,000’ will buy.